Ms Reuss is Global Head of SRI Research at Allianz Global Investors – a position she has held since October 2018. She contributes extensively to AllianzGI’s proprietary socially responsible investment (SRI) rating methodology and the implementation of SRI filters across asset classes. Ms Reuss was previously a Senior Portfolio Manager European SRI equities and a member of the Conviction strategy team. She also co-managed AllianzGI’s European SRI flagship fund and was responsible for AllianzGI’s Climate Transition strategy, which was launched at the end of 2015. Before that, Ms Reuss was a Senior Portfolio Manager of a global sector fund for 10 years. 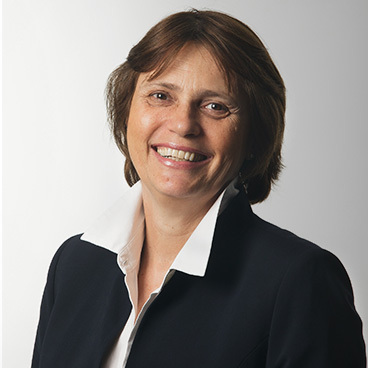 She joined the Allianz Group in 1987 and was active in various management positions in insurance in Italy and the US. Ms Reuss has 24 years of experience in the asset-management industry, plus seven years of experience in the insurance industry. She graduated from Stanford University and is a member of AIAF (Associazione Italiana degli Analisti Finanziari); she is also a Certified AIAF Financial Analyst and an EFFAS ESG Analyst. Ms Reuss has been a member of the Italian SIF since 2011 and is part of the DVFA Kommission Corporate Governance in Germany. She is fluent in German, English, Spanish and Italian and was an Olympic finalist.